In the labour process there are situations of Disposals per employee and necessary execution of his or her work by another worker. A typical case is the temporary retirement of the employee to preserve his job. For example, in granting the woman leave and maternity leave, and then leave to care for a child up to 3 years; the involvement of the employee to the performance of state or public duties; improving the skills of the worker and other cases envisaged by law and collective agreement). There is a need to replace retired employee with the purpose of continuity for his work. If we are talking about the employee's absence for a long time, widely used for bringing a new employee on the basis of fixed-term employment contract. Documents are processed the same as a regular job, but the employment contract specifically stipulates the condition that the employee shall be employed until the work is temporarily eliminated employee (article 59 of the LC RF). When in place temporarily retired, involved staff member, to issue such performance of duties is necessary, as a temporary transfer, with the publication of the order in form T-5. In this case, the order must necessarily come from the consent of the employee to such temporary transfer, or to the order must be accompanied by the agreement of the employer and the employee on temporary transfer. The consent of the employee on temporary transfer is not required only if the transfer is made for less than 1 month (article 72.2 of the LC RF). If the regular employeecontinues to perform their work functions, additionally assigned responsibilities for performing job functions of a temporarily absent employee, then this order is issued, the form in which legislation is not regulated. However, such an order must contain surname, name, patronymic of the absent employee's job title, as well as the charges for performing additional job duties. The amount of this fee is set by agreement between the employer and the employee.With respect to employees occupying ordinary positions, use the wording: "to Hold (name of the position, surname, name, patronymic) the duties of (name of position) during the absence (vacation, business trip, etc.) (surname, name, patronymic of the absent employee)". This order may be enclosed directly in the order on vacation or on a business trip; in this case, both the employee should be informed of this order, a copy of the order is placed in a private affair of the retiring employee, and an extract from the order – in the personal business of the employeethat will perform its function during the absence.In respect of Executive employees of the wording was slightly different: "Assign (name the position, surname, name, patronymic) to temporarily perform the duties of (name of post)". The order shall indicate the reason for the temporary disposal of the employee and specifies the size of the surcharge regardless of whether the employee is a Deputy chief on staff. The purpose of performing the duties of an employee to a vacant position is not allowed, in this case, should be issued either a temporary relocation – at the time of finding a suitable employee to work on a permanent basis or a permanent transfer, making appropriate changes in the employment contract. You need to keep in mind that in case of temporary transfer, the employee may claim to occupy the position on a permanent basis. In accordance with Article 72.2 of part 1 of TC RF for temporarily absent employee remains working space and its position can be assigned or take acting. Execution of duties shall be documented in the regulations of Article 59 TK the Russian Federation in the form of fixed-term employment relationship or in accordance with Article 60 of the labour code in the form of temporarily assigning additional duties to another employee. These articles do not apply to a vacant position, which is in the electoral procedure, e.g. General Director of the company and other responsible persons. Is regulated by changes in the clarification Letter from the state labour Committee 11 March 2003. For registration of the execution of duties in the form of fixed-term employment relationship, employment is done in the usual way on a fixed term contract. The applicant must be received application for admission for temporary work, employment history, educational documents and other required taking into account the specifics of work. Drawn up a contract specifying all conditions of work, pay and period of employment relationships. The contract is signed by the employee and the employer issued the order about the design of the temporary employment relationship, the employment records and personal card. Hired employee familiar with the job responsibilities, and it proceeds to the temporary replacement of missing for valid reason the employee. If the performance of duties shall be in accordance with Article 60 of the labor code and an employee working under an employment contract in another position, will be responsible for a temporarily absent employee, this is done as an additional function. This design can be made only with the written consent of the employee, the order indicating the additional responsibilities, period of execution and forms of payment for extra work. All these rules do not apply for the vacant positions senior management, whose positions were elected or on a competitive basis. All senior executives in the employment contract shall be an item on their replacement during the period of absence specified by the Deputy. Some enterprises in the contract specify two or three of the substituents on the absence of responsible leaders. All deputies in the employment contract should contain a clause about execution of duties during the absence of the Director and terms of remuneration at the time of substitution. Additionally it is stated in the internal regulations of the company. If everything executed properly, neither the order nor the General power of attorney during the absence of leadership is not required. If the employment contract and in internal legal acts order of replacement senior management, for the period of absence is appointed the acting as. Issued the order for substitution, it shall specify the period of performance of obligations, payment procedure. You will also need to issue a power of attorney in the regulations of Article 185 of the civil code. You will need it for signing important papers and possible legal relations with third parties, such as during important negotiations at the conclusion of the contract. Due to the absence of the General Director on a workplace as defined in a certain time he should appoint another employee performing the duties of the head of the organization. To do this, make a supplementary agreement to the employment contract, to issue an order to entrust this expert features first-person firms, and also to write a letter of attorney to sign documents. - the form of the order. Usually during the absence of the first person of his duties must be performed by the Deputy Director. But if there is none in the organization, then the Manager must appoint a performing his duties. Select the employee who will perform duties during the absence of the Director (vacation, business trip, temporary inability to work). Usually appointed the head of one of the structural units. Write a notice to the specialist, which specify job dutiesthat he will perform for the first face of the company. Enter the amount of the Supplement, which will be the reward for the combination of professions. Define the term on which you install the performance of the duties of the Director. Notification-the employee must Express their agreement/disagreement on replacement of the head. And in either case it is necessary to write the application. If an employee expresses a positive decision, then it should be in accordance with the notice to specify the date, amount of payment, the title of the position, the duties of which he will perform along with his employment function. When the expert expresses his disagreement with the alignment, he needs to enter the reason why this is impossible. Make a supplementary agreement to the employment contract of an employee who will combine the performance of their job functions along with duties of the Director of the organization. Prescribe conditions in accordance with the notification which are established to employees in the combination of professions. Employer has the right to sign the head of the organization, from the employee is performing assigned duties , the General Director of the company specialist. 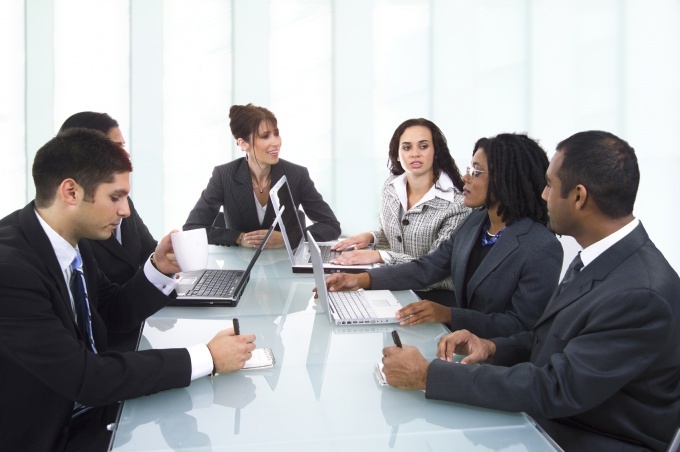 Make the order on appointment fulfilling duties of the Director. Specify the period during which the employee will be to combine positions. Write a list of the work functions of the head, which he should perform. Write the size of the surcharge that will be a reward for the performance of duty first-person of the firm. Familiarize the specialist with the order, in the right field which he needs to put the personal signature, the date of familiarization with the document. Sign the document with company seal, signature of Director of the company. In the work book about the combination of the posts of record to make no need. 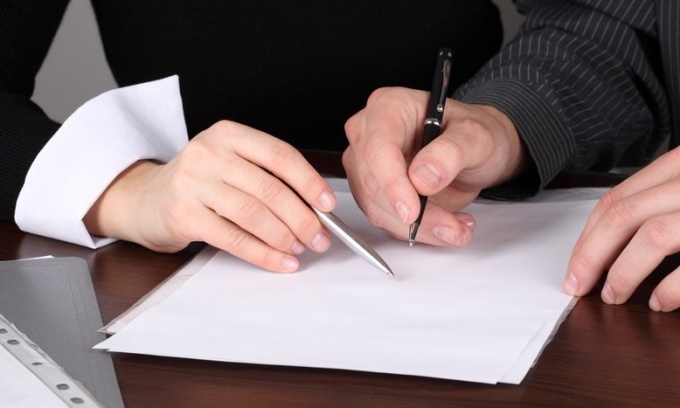 Make a power of attorney for the signature of the General Director. Specify the validity of the document. Write a list of documentation that may sign specialist, performing duties of head of the organization. You must consider when signing documents with legal, legal, labor in nature, the employee should state his position in accordance with the staffing level the surname, name, patronymic, to put a personal signature. In any case, no need to write "performing the duties of the Director", as personnel documents such positions are not available.